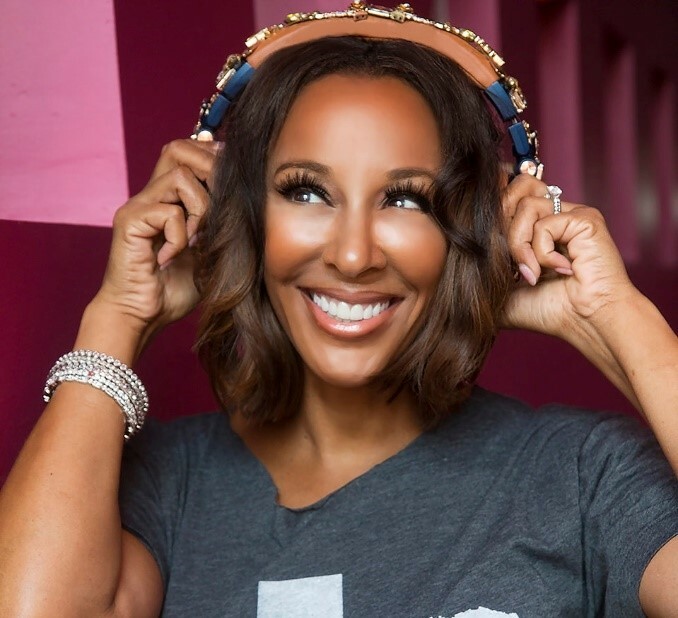 DeDe McGuire "Radio Royalty "
(Da’Naja) Being one of the few women nationwide to host their own morning show, what obstacles have you faced along the way? (Da’Naja) What advice would you give to all the young ladies out there who would like to be successful and do great things in life? (DeDe McGuire) “My advice is to go for it! Every great achievement begins with a decision to try. That would be my biggest advice. Believe in you and believe in yourself that you can do it. I mean you’re living proof and such an inspiration, you’re amazing to me! Take inspiration from other women, you see them do it and you can do it to and never hate. Don’t be a hater, I hate haters. Well I should say I’m not a fan. It’s pure jealousy, if they just own up to the fact that they are jealous and rise themselves, on their own they would stop being haters. Happy people don’t hate, I’ve noticed that. People who are happy with themselves are not generally the ones that hate. So, become happy and you will stop hating. (Da’Naja) What does beauty and brains mean to you? DeDe McGuire, I would like to personally thank you for being such a Phenomenal Women and Empowering me to be in control of my own destiny! It was such a pleasure to sit down with you again and an absolute honor to be the one conducting your exclusive interview! I wish you continued success in all aspects of your life and may God continue to Bless you abundantly always! 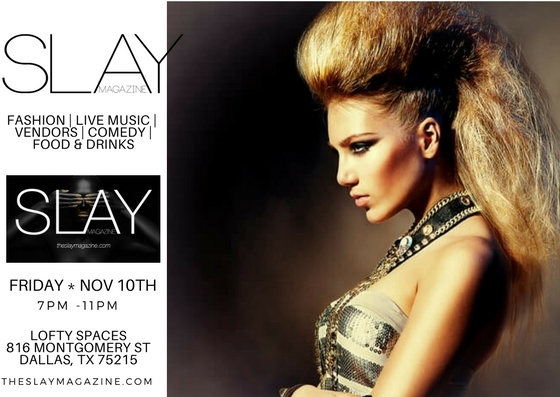 Thank you for SLAYING with me and SLAY Magazine! Make sure you tune in to "DeDe in the Morning" on K104 FM (Dallas, TX) Monday- Friday from 6 AM until 10 AM along with co-host Lady Jade and comedian Mike Shawn! 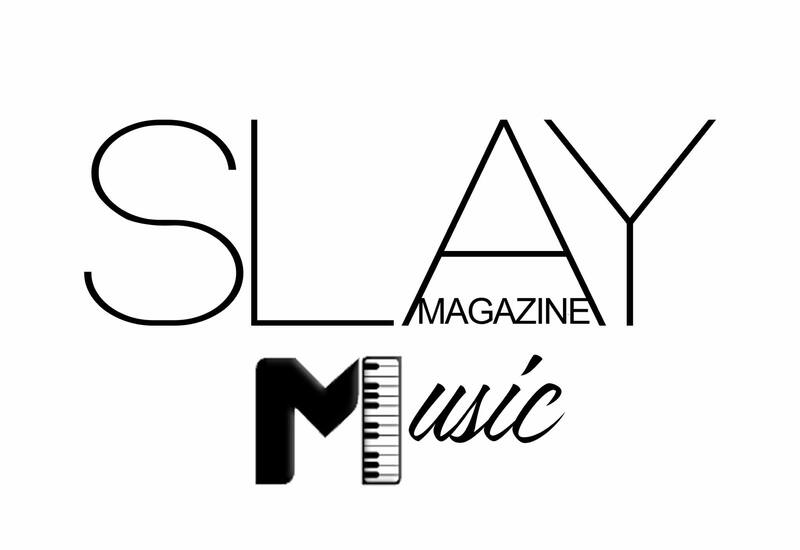 If you want to check out some of the video & pictures on social media from this Exclusive Interview with "Radio Royalty" DeDe McGuire simply search some of the following hashtags #ZRBrunch #ZRBeautyNBrains #BeautyAndBrains #TheSlayMagazine #SlayMagazine #SlayOnTheScene #NAtoriouslyFierce on social media! 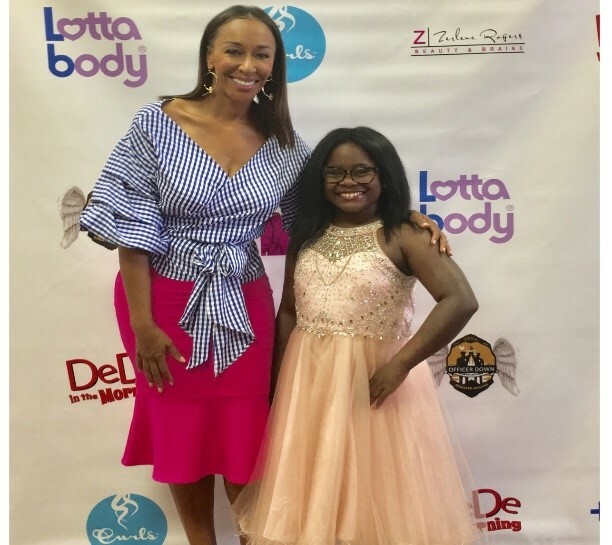 Da'Naja (NAtoriously Fierce™) Mosley is a 10 year old dancer, model, actress, speaker, and entrepreneur from Dallas, TX known for her charisma & LARGER than life size personality! She recently started building her Brand and Business NAtoriously Fierce™. NAtoriously Fierce™ is nothing less than the description to describe this star in the making! Da'Naja has a passion for empowering, motivating, and inspiring other children to be courageous about following their dreams because she feels that age is only a number not a limit. With God we can do all things through Christ whom strengthens us. Not only is Da'Naja focused on building her talents. She excels academically as a member of the National Elementary Honors Society (NEHS), member of the Gifted & Talented program, and straight “A” student.